Ever wanted to have your Windows 10 desktop background look sharp? Like, Bing Gallery sharp? Let me help you. It's all in one tool. Small, simple, efficient. Gets Bing Picture of the Day images for today and a specified number of days back. -d [days] Specifies number of days to fetch. 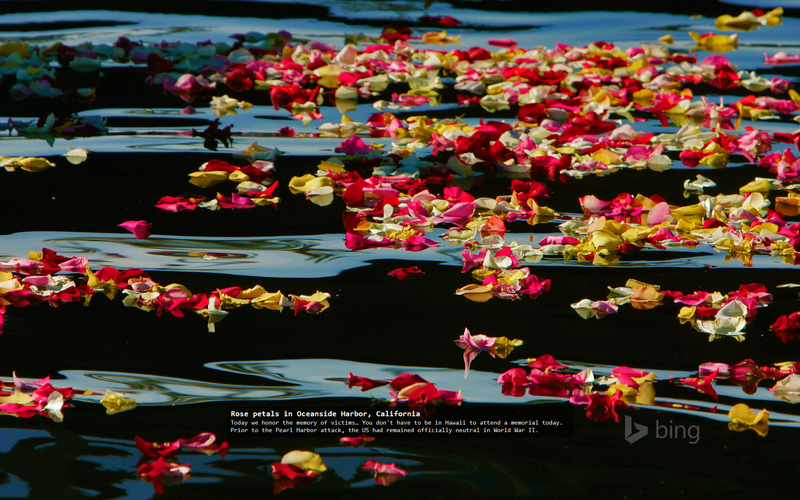 last two weeks (14 days) of Bing wallpapers. set to - '%USERPROFILE%\Pictures\Bing Wallpapers'. You can specify text position [top, bottom]. Default is bottom. Downloading Bing Image of the Day for 2015-12-16. Downloading background... Background for 1920x1200 found. Saving background... Done for 2015-12-16. Or do a BingDailyImage.exe -d 10 -t to get the last 10 and add a nice, transparent background text to them. Hell, do a BingDailyImage.exe -s install and forget about it. It's going to download new images once they are published to Bing's servers. All you need to do now is set your Windows 10 desktop background to be fetched from the download folder. Done. Here's a sample of a downloaded image. You might be surprised about the fun facts you'll learn every day.